I appeared for my BA examinations in 2011 and I got very low marks in 1 subject. I gave my answer sheet for revaluation. Still also I am waiting for the results of my rechecking. Please tell me when the university will publish the results of the revaluations? Please give me the link of the results webpage of the official website of the university. 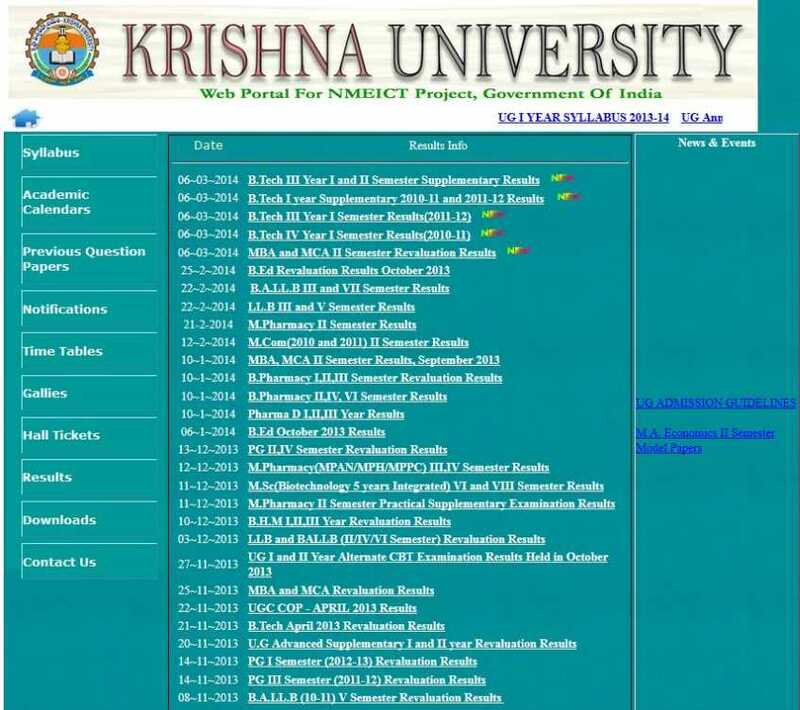 You were looking for the revaluation results of Krishna University. The results released on 12th December 2011. You can check the results from the results webpage of the official website of the university. If you face any difficulty in getting the results kindly let me know. I will provide you the complete link to the results page of the university. Hello sir I am still waiting for B.Tech (Chemical engineering) revaluation results from long time, what do you this when Osmania University will publish ) revaluation results for B.Tech (Chemical engineering)? You were looking for the results of B. Tech Revaluation examination of Osmania University. I have found the results on the official website of the university. I suggest you to go to the UG Results page of the university’s website. I have appeared for the Osmania University B.E final year exam in 2010 and still waiting for the result. Can you inform me if the university has published result of the exam? If yes, please tell me from where I can get my result. ==on result page fill registration number and click on submit option so you will easily get result for it ..
Last edited by Sashwat; March 9th, 2014 at 12:28 PM.